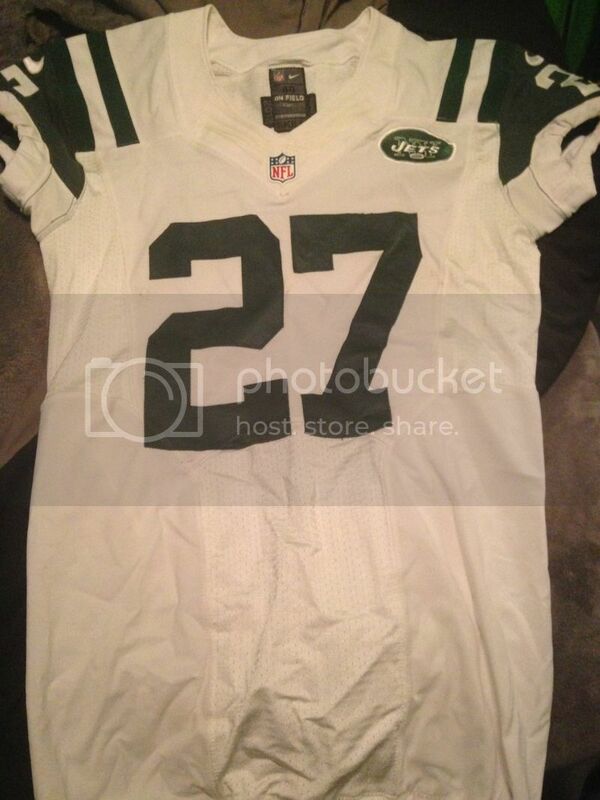 Very fine Vick pick up! Love the helmet!! 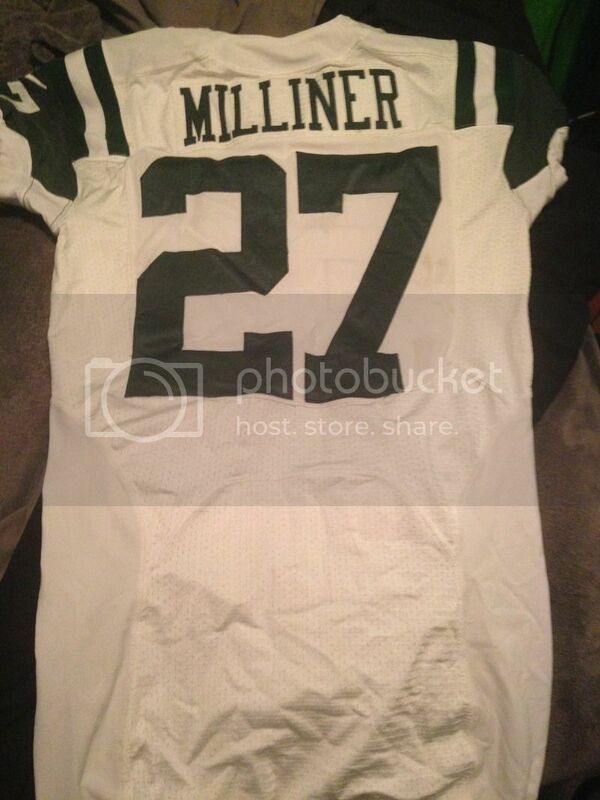 Rookie Dee Milliner worn jersey. It was from the Carolina game but washed. 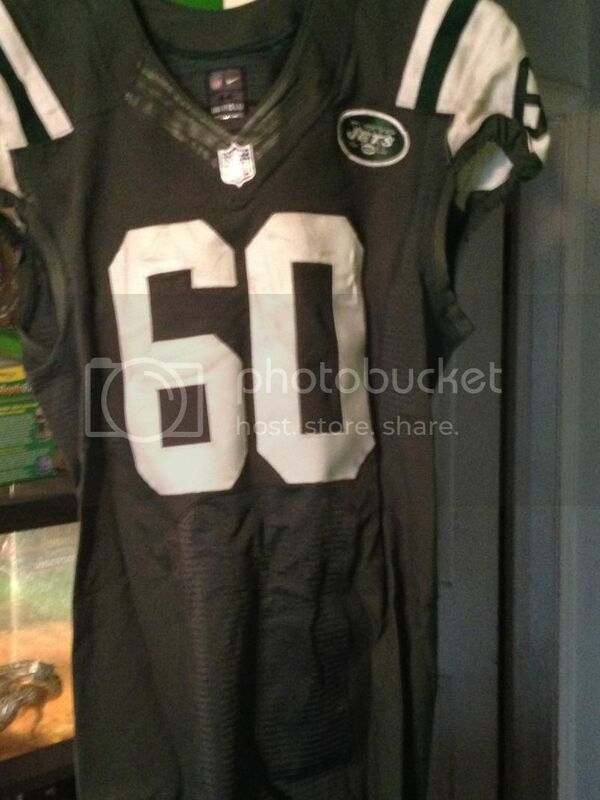 Game used Mark Gastineau jersey with LOA from Grey Flannel describing provenance from an unnamed "impeccable source." Light wear. Champion micro-mesh (if that's the right term) with crotch piece and a single green stripe on each sleeve (rare style). 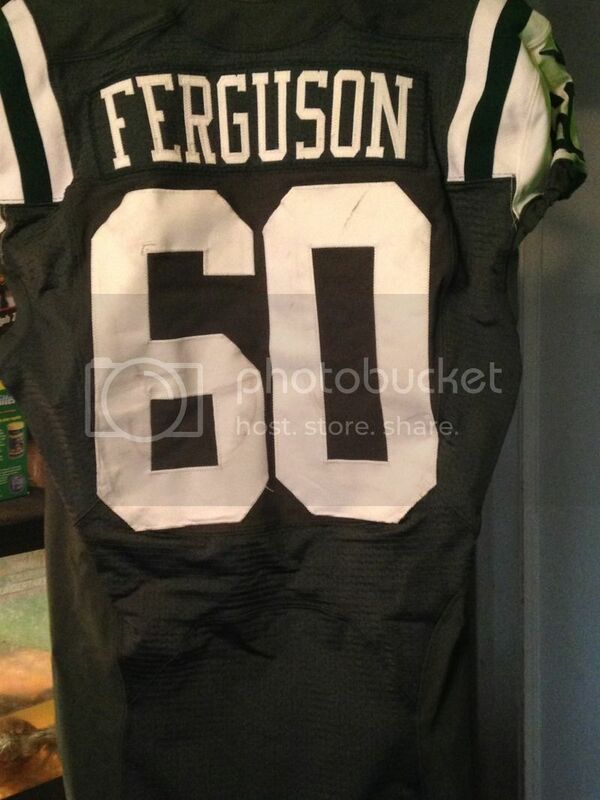 A good looking jersey now pushing 30 years old. Can anyone tell me if the Jets ever wore a Champion durene version, perhaps for cold weather, of their 1979-1989 style jerseys? jhunt28 shared a great collection pic on page 6 of this thread that includes a Freeman McNeil that I believe may be durene but I am not certain. I don't believe it is micromesh because of the lack of spandex sides but I would like to know for sure if they exist.